[ Editor’s Note: This was quite a New Year’s gift, to see a veteran national security journalist leave a major corporate news platform with a goodbye letter to his colleagues reviewing his being fed up with the free pass the powerful now get from most media. Some would expect he was a VT plant, but alas he was not, just a kindred spirit that bemoans how far our third estate has sunken. The Founding Fathers would be most disappointed. Don’t expect to see the other networks give this much play, as the last thing they would want to start is an open discussion between their journalists and the public about the state of fake news in the US and most everywhere, due to various pressures, not just one by any means. We will have to see if Arkin will be doing any interviews. We will wait, as he would probably want to see if NBC competitors might pick him up. But I suspect they would be wary of others following in his steps, so they will probably stiff-arm him. We shall try to make contact to see what his plans are, as in doing second-tier media interviews. When he walked out, he knew his path would not be strewn with roses, but we would like him to know that we greatly respect what he did, and hope more follow the example. What are Arkin’s plans now? 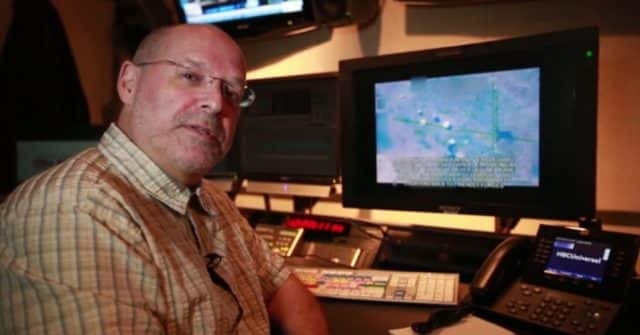 William M. Arkin had a number of pointed words to share with his fellow reporters before his last day of work at NBC on Friday – 2,228, to be exact. In his farewell memo – which reads more like a manifesto than a goodbye –the veteran muckraker accused NBC of peddling “ho-hum reporting” that “essentially condones” endless American military presence in the Middle East and North Africa. 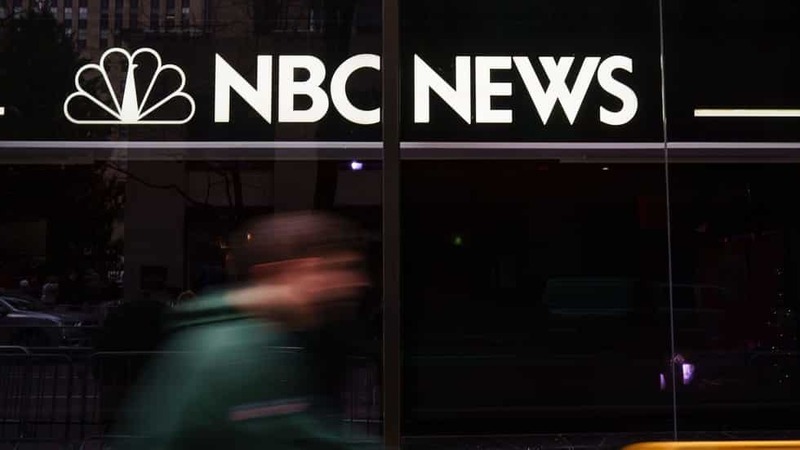 “I’m alarmed at how quick NBC is to mechanically argue the contrary, to be in favor of policies that just spell more conflict and more war. Really? We shouldn’t get out Syria? We shouldn’t go for the bold move of denuclearizing the Korean peninsula? Even on Russia, though we should be concerned about the brittleness of our democracy that it is so vulnerable to manipulation, do we really yearn for the Cold War? And don’t even get me started with the FBI: What? We now lionize this historically destructive institution?” he quipped. EVEN IF ONE HATES @REALDONALDTRUMP MATTIS’ RESIGNATION LETTER AND THE TSK TSKING OF NEAR EVERYONE IS BAD NEWS FOR DEMOCRACY. MATTIS SHOULDN’T HAVE TAKEN THE JOB, WAS NEVER THE SAVIOR, AND DID NOTHING BUT CONTINUE LONG STANDING GO NOWHERE POLICIES. A bid for Ministry of Defence funding submitted by the Integrity Initiative to the UK Ministry of Defence in 2017 lists a “tougher stance in government policy towards Russia” and “more information published in the media on the threat of Russian active measures” as key performance indicators for the organization. To achieve this end, the Institute via its Initiative is amassing ‘clusters’ the world over — groups of politicians, businesspeople, military officials, academics and journalists — who “understand the threat posed to Western nations” by Russian “disinformation” and can be mobilized to influence policy in support of the “Anglo-Saxon worldview”, and against the interests of the Russian state. Moreover, it quietly employs a small army of operatives who routinely flood the mainstream media with anti-Russian messages — the files make clear Ben Nimmo, a ‘Senior Fellow’ at the Institute, and ‘Information Defence Fellow’ at the (likewise NATO-funded) Atlantic Council leads the charge. Critics have long-questioned Nimmo’s status as a leading ‘expert’ on Russian ‘information warfare’ and ‘cyber operations’, and Kremlin strategy and thinking — he has no discernible history in data analysis, information technology, research or even political journalism, studying medieval European epic literature at Cambridge University, then becoming a scuba-diving travel writer for some years when his post-graduate dream of authoring fantasy fiction went nowhere. It’s unclear how and why he joined NATO as a press officer in 2011 — but it’s surely reasonable to state he lacks any professional background relevant to the topics he frequently discusses, outside the military-connected organizations for which he’s worked since then. Over the years, Nimmo’s cemented a prominent platform as a Kremlin detractor, authoring and appearing in a panoply of articles, reports and academic papers on the threat posed by Moscow to the Western world — he was for instance a prevalent and persistent advocate of the theory Russian trolls and/or bots assisted in the election of Donald Trump as President, a notion he himself now seemingly dismisses. In December 2018 alone, he told ABC News Putin was exploiting Instagram via “hashtag propaganda”, the BBC Russia was weaponizing humour by creating “funny memes”, and Politico social media was leading to the “internationalization of nationalism”, in an article blaming Russia for the apparent proliferation. Back in March 2016, he also submitted written evidence to the House of Commons Defence Committee, along with Jonathan Eyal, Associate Director at UK military think tank the Royal United Service Institute. However, while their paper stated it was “submitted in a personal capacity”, the leaked files list the submission as part of the Institute for Statecraft’s ‘production timetable’ for March — June 2016, along with a number of articles and reports he likewise authored. 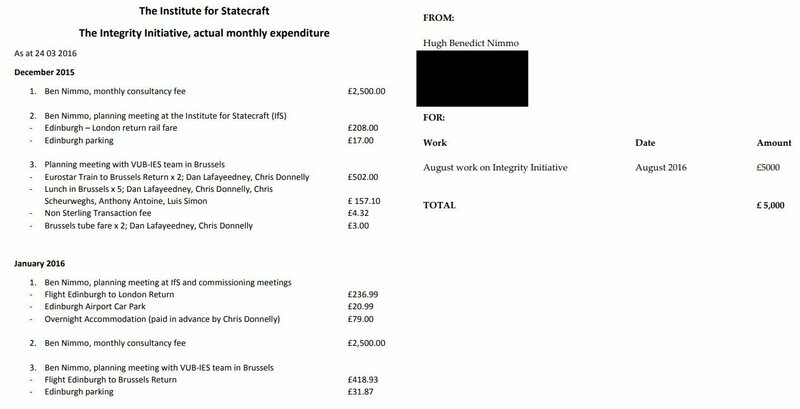 Elsewhere, files indicate Nimmo has received substantial monthly ‘consultancy fees’ plus expenses from the Institute for Statecraft since at least December 2015, raising the prospect much of his ‘independent’ media and political activities since then have been partially or wholly state-funded. Leaving aside the obvious conflicts of journalistic and professional interest his typically unadvertised employment at the Institute creates, such remuneration takes on an extremely sinister dimension when considering his activities and statements in respect of Labour leader Jeremy Corbyn. For instance, in August 2015 Nimmo authored a piece for The Daily Beast — Putin Loves Labour’s Leader-in-Waiting – in which he alleged the Kremlin was “pushing far-left Corbyn’s candidacy for party leader”. The story appears in an Institute ‘impact’ statement, documenting how many unique views various articles written by individuals connected with the Integrity Initiative had received “as at” April 19 2016. Nimmo has attempted to connect Corbyn with Russia on numerous occasions since — his aforementioned submission to the House of Commons Defence Committee rehashed much of the Daily Beast article’s content, and in April 2018 he told The Sun there was a “direct attempt by pro-Kremlin, and perhaps Kremlin-controlled, accounts” to boost the Labour leader’s support online, and suggested to The Independent “commercial bots…someone hired to amplify political messaging in the UK, or dedicated bots someone set up to generate the political effect themselves”, potentially connected with the Russian state, were perpetuating pro-Corbyn messages. In neither case did he provide evidence for his assertions, and as ever his commentary was rife with qualifications and uncertainties. If these activities were in any way connected with his work for the Institute — as his 2015 Daily Beast article seemingly was — they potentially make a mockery of the Initiative’s claim in December 2018 that the organization “at no time has engaged in party-political activity and would never take up a party-political stance”, and could constitute a breach of official UK charity regulations. Nimmo’s prominent media platform is rendered all the more illegitimate given several articles uncritically promoting his views were authored by journalists with connections to the Integrity Initiative. For example, the aforementioned November 2018 Guardian article in which Nimmo said Nigel Farage was “phenomenally useful” for the Kremlin was the work of journalist Carole Cadwalladr. She furthermore wrote an article a year prior — Brexit, the ministers, the professor and the spy: how Russia pulls strings in UK – suggesting a Russian cyber campaign helped secure a ‘leave’ vote in the June 2016 referendum on Britain’s EU membership, where she quoted Nimmo saying evidence of Russian online interference in Western politics is now “incontrovertible”, and “it is frankly implausible to think [Britain] weren’t targeted too”. Cadwalladr has also posted numerous tweets linking Corbyn with the Kremlin, stating “Labour has a Russia problem”, and Corbyn adviser Seumas Milne is “pro-Putin” and a “Russian propaganda tool” who has “wittingly or unwittingly” furthered “the Kremlin’s agenda”. Intriguingly, she spoke at an Integrity Initiative event in London in November 2018 — Tackling Tools of Malign Influence — Supporting 21st Century Journalism – and has even defended the organization on the social network, stating on December 16 its Twitter account “also pushed attacks on the government and the Conservatives” in addition to the controversial anti-Corbyn tweets. Despite being challenged to provide a single example by a vast number of users, she’s been unable to as of January 3 2019. ​Likewise, in August 2018 Nimmo was featured in an article by David Leask, chief reporter at Scotland’s Herald newspaper — Meet the McBots: how Scottish cyber activists try to game Twitter — claiming “it [looked] like” pro-independence activists in Scotland had set up “automated or semi-automated accounts”, a deduction he made after finding 10,000 tweets using the hashtag ‘#dissolvetheunion’ posted by 2,000 accounts in the span of a week. Leask did not ask or establish how a small number of users employing a single hashtag an average of five times each amounted to an attempt to “game” Twitter — and within hours of publication, many of the accounts deemed ‘McBots’ by Nimmo had made clear they were very much run by real people. The full nature of Leask’s relationship with the Initiative isn’t clear — but in March 2018 he gave an extensive briefing to Institute operative and former MI6 employee Guy Spindler, offering insight on key figures within — and opponents of — Scottish nationalism and the wider independence movement. He claims to have merely received a “cheese sandwich” for his efforts — but other documents indicate he’s attended Initiative seminars, and articles he’s written are included in “outcome” reports the organization regularly delivers to the UK Foreign and Commonwealth Office. In a similarly questionable piece four months earlier, Nimmo was interviewed by The Times’ then-defence correspondent Deborah Haynes. In it, he claimed to have identified a concerted online campaign by “pro-Kremlin trolls” in the wake of Sergei Skripal’s poisoning in March. In support of this thesis, he said he’d detected “strange activity” around a Twitter poll posted by popular pro-Corbyn tweeter @Rachael_Swindon, which posed the question of whether Britain’s evidence in the Skripal poisoning was sufficient to apportion blame Russia. A majority voted ‘no’ — but Nimmo said “many of the accounts that retweeted and most probably voted in the survey” either posted primarily Russian-language tweets, or “pro-Kremlin” content, proof to his mind of an attempt by Russian trolls “to influence the poll and create the appearance of greater hostility towards the UK government than UK users themselves showed”. Nimmo further justified his claims of a conspiracy by noting a number of “suspected troll accounts” he “[called] out” on Twitter responded by accusing him of peddling propaganda. Despite the sizeable caveats and highly unsound supporting evidence, at no point did Haynes challenge or critique Nimmo’s analysis — a serious journalistic failing, made all the more problematic by internal Initiative files listing her as a member of the organization’s UK Cluster. Haynes was evasive when I contacted her about her connection with the Institute/Initiative in December, claiming to have “not seen” the documents, failing to definitively confirm or deny having a relationship of any kind with either body, and threatening legal action for “publishing false accusations”. She’s since blocked me — other curious users who’ve similarly asked her for clarity have likewise been ignored and/or blocked. Whatever the truth of the matter, Haynes has demonstrably written articles with intimate input from the Institute, strongly furthering the organization’s interests. For instance, in July 2016 she met with five Ukrainian reservists at the Institute’s offices in Two Temple Place, London — they’d flown to the UK for a week-long trip organized by the Institute and funded by the Ministry of Defence. A month later, she’d write a brief piece on the visit that didn’t directly state she’d rendezvoused with them in person, but ardently supported the Institute’s stated primary objectives of hyping the ‘threat’ posed by Russia to the Western world, degrading relations between London and Moscow, and rallying public support behind increased defence spending. Haynes left The Times in September, but the paper still employs another listed member of the Initiative’s UK cluster as a columnist — Edward Lucas, senior vice president of the Center for European Policy Analysis (CEPA). When asked by RT in November to confirm the nature of his relationship with the Integrity Initiative, Lucas said “I have not been paid…but I applaud their work” — a mere two days later, he contributed a piece to the Initiative’s website. He is yet to explain how, in the aforementioned April 2016 Initiative ‘impact statement’, he’s listed as co-author with Nimmo on two separate ‘outputs’ — a pair of reports published by CEPA, How has Russia weaponized information? and Information warfare: what is it and how to win it — and as invoices he submitted to the Institute clearly attest, Nimmo was certainly being paid for his efforts on behalf of the Initiative during this period. I just wish they were bigger better funded and more effective. Now please withdraw your unpleasant insinuation about my own integrity. ​Lucas has gone to great lengths to pour cold water on the Integrity Initiative scandal, repeatedly dismissing suggestions the organization has sought to undermine Corbyn and the Labour party and defending its Twitter account’s activities, on December 17 even authoring a column — Don’t Swallow Labour’s Claims of Black Ops — warning criticism of the Initiative amounted to “playing into the Kremlin’s hands by letting it undermine our anti-propaganda institute”. Two days later, he conceded he’d been “paid one small freelance fee” by the Initiative, although contradictorily still claimed he had “no paid or unpaid relationship” with the organization. The Times’ advocacy for the Initiative has continued since, with the paper publishing an extraordinary hit-piece on Sputnik UK and its staff — Edinburgh radio station Sputnik is Kremlin stooge, says MSP — on 23 December. The article published the names and photos of eight employees, stated without corroboration there was “mounting suspicion” the Kremlin was behind the hack of the Institute’s internal files and their release thus amounted to an act of “information warfare”, and quoted Alex Cole-Hamilton MSP as saying Russian nationals in the UK associated with Sputnik should have their assets frozen as a result. In a perverse twist, Nimmo also made an appearance — billed purely as a ‘defence analyst’, he labelled Sputnik “an instrument of Russian state power”. True to form, there was no acknowledgement of his well-remunerated and long-running employment with the very organization the article effectively defended, despite this being openly stated on his Atlantic Council profile. Shockingly, Nimmo is just one example of an Institute for Statecraft operative who’s repeatedly appeared in mainstream discourse offering politically charged and highly prejudiced agitprop under the guise of ‘independent expertise’. It’s even more troubling his views have often featured in articles written by journalists, or in outlets employing journalists, who themselves have unclear and/or potentially paid relationships with Nimmo’s employers, which — to paraphrase Nimmo — is an “instrument” of British state and NATO power, and a well-funded and highly secretive one at that. In the weeks and months ahead, Sputnik will be documenting the activities of each and every one.